Mossberg 500 Cruiser & Survival Kit – Just In Case Shotgun – Florida Gun Supply "Get armed. Get trained. Carry daily." If you want a gun that is both great for survival and home defense purposes, this Just In Case (JIC) Shotgun is the gun for you. DO ALL OF THE JUST IN CASE SHOTGUNS INCLUDE A CARRY TUBE? Out of the 4 packages in the Just In Case family, 3 of them come with a tube. The JIC2 is the only one that does not come with a plastic tube. CAN A JUST IN CASE SHOTGUN SHOOT ANY 12 GAUGE AMMO? The JIC will shoot 3″ shells, allowing you to use what you would like. HOW MANY SHELLS CAN THE JUST IN CASE HOLD? The Just In Case can hold up to 6 shells in the tube and another 1 in the chamber, making for a 6+1. This 12 guage, pump action, JIC Sandstorm Shotgun has a capacity of 5+1. 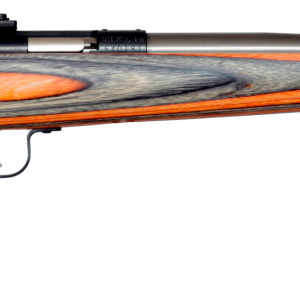 The barrel length is 18.5″ and the total length is 28.75″. This shotgun comes with bead front sights. This gun comes with a desert camo finish. Mossberg created a great survival kit with this shotgun. It comes with a rugged cammo-colored carry tube that can be buried in preparation of a grid-down survival situation, or in case the government ever comes for your guns. It’s also waterproof up to 40′ of water – or it floats!Mossberg created a great survival kit with this shotgun. It comes with a rugged cammo-colored carry tube that can be buried in preparation of a grid-down survival situation, or in case the government ever comes for your guns. It’s also waterproof up to 40′ of water – or it floats!The tube this shotgun comes in is factory tested to be waterproof and airtight for up to 40′ or 17psi when properly installed. The seal is referred to as a crush washer. The rubber rings on the inside of the tube are what make for the tight seal allowing it to be waterproof. Mossberg created a great survival kit with this shotgun. It comes with a rugged cammo-colored carry tube that can be buried in preparation of a grid-down survival situation, or in case the government ever comes for your guns. It’s also waterproof up to 40′ of water – or it floats! This is a reliable shotgun. It will get the job done every time. 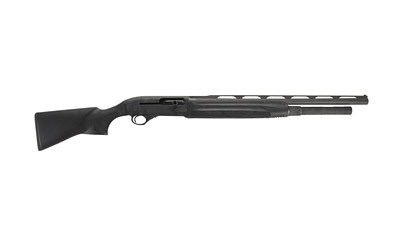 The Mossberg 500 is one of the most well known and trusted shotguns Mossberg has ever produced. 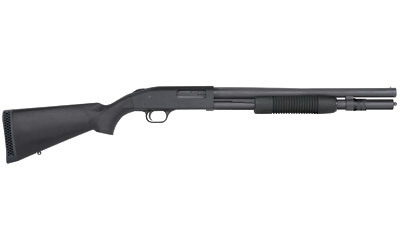 It has a pistol grip and no stock, which makes it an excellent home defense or survival shotgun for any situation.